An out-of-home campaign launching season 4 of Black Mirror, the dystopian sci-fi series. 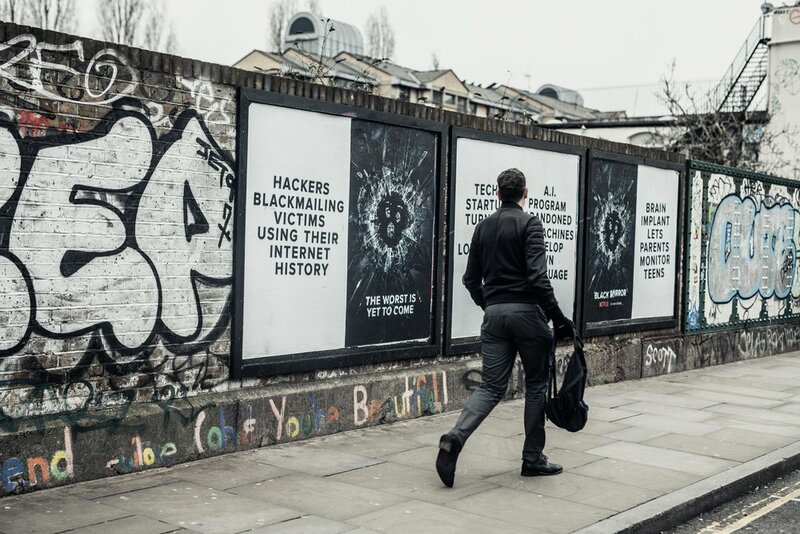 Subtly branded posters were put up in and around London's Old Street subway station with no explanation. Some headlines were real, others from the new season of Black Mirror. Thousands of people connected the dots and spread the word via social media.